“Nelson Metals Corp in West Haverstraw, NY, also known as David Metals, offers professional services as an aluminum recycling specialist to the Tri State area for over 50 years.”Our professional team guarantees satisfaction in every quality service that we render. We pay in cash for scrap iron and metals. 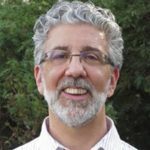 Short Business Description: Kevin Lynch and his family have been restaurant owners in North Rockland for many years, and look forward to serving you, your family, friends, and even your company or not-for-profit staff for many years to come. Lynch’s Restaurant prides itself on serving only the finest cuisine in Stony Point, NY. 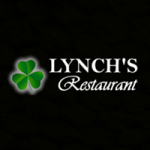 Whether you’re looking to drop in for a quick burger over a business lunch, or dining with the family over a four-course cuisine, Lynch’s can accommodate your needs. We have a wide variety of items on our menu, as well as a great selection of beers and wines. On any given night, you can walk in and feel right at home with our talented and friendly wait staff. Kevin Lynch and his family have been restaurant owners in North Rockland for many years, and look forward to serving you, your family, friends, and even your company or not-for-profit staff for many years to come.